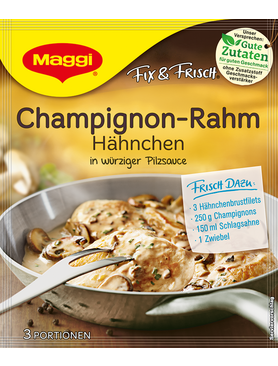 Fix for Rahmhähnchen with mushrooms. 36 gram packet. makes 3 portions. A pefect gift or just enjoy these wonderful chocolates yourself! Dark chocolates with genuine spirits in cream centers.